Join Brian and Cheryl Brodersen in this hilarious yet deeply serious dialog that is so much fun to watch. Whether you are married or single there is much to gain from their experiences and insights as they profoundly apply the powerful Word of God to marriage. 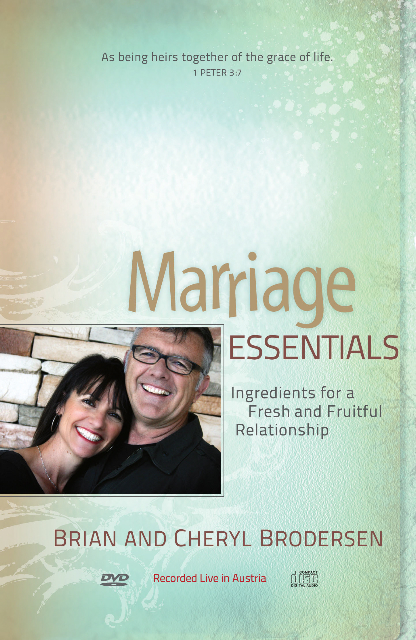 Learn how to encourage, esteem and enjoy one another in marriage in this refreshingly real, painfully personal yet powerfully practical message filled with freedom and grace. Great gift for a newlywed Help for a marriage in trouble Excellent tool for a marriage ministry We fight but its OK. We have a marriage worth fighting for. Recorded live at the 2009 Calvary Chapel European Missions Conference at Millstatt, Austria. This set includes a DVD and CD of this recording.